You'll explore the less-touristy side of things at Zipline and Smoky Mountain Alpine Coaster. Change things up with a short trip to River Rafting & Tubing in Hartford (about 42 minutes away). There's much more to do: take in nature's colorful creations at Parrot Mountain & Gardens, contemplate the long history of The Old Mill, brush up on your knowledge of spirits at Ole Smoky Tennessee Moonshine, and admire nature's wide array of creatures at Ripley's Aquarium of the Smokies. To find traveler tips, reviews, more things to do, and tourist information, read Gatlinburg sightseeing planner. Richmond to Gatlinburg is an approximately 6-hour combination of flight and taxi. You can also drive; or do a combination of bus and taxi. In May, daily temperatures in Gatlinburg can reach 80°F, while at night they dip to 58°F. Wrap up your sightseeing on the 2nd (Fri) to allow time to travel to Las Vegas. Change things up with these side-trips from Las Vegas: Valley of Fire State Park (in Overton) and Hoover Dam (in Boulder City). And it doesn't end there: take in breathtaking views at Hoover Dam Bypass, enjoy some diversion at Gun Garage, enjoy breathtaking views from Eiffel Tower Experience at Paris Las Vegas, and take in nature's colorful creations at Bellagio Conservatory & Botanical Gardens. To find traveler tips, maps, where to stay, and tourist information, go to the Las Vegas itinerary planner. Traveling by combination of taxi and flight from Gatlinburg to Las Vegas takes 6.5 hours. Alternatively, you can drive; or do a combination of taxi and bus. The time zone difference when traveling from Gatlinburg to Las Vegas is minus 3 hours. Traveling from Gatlinburg in June, expect Las Vegas to be somewhat warmer, temps between 102°F and 78°F. Wrap up your sightseeing by early afternoon on the 5th (Mon) to allow time for travel to Page. Eschew the tourist crowds and head to Nature & Wildlife Tours and Paria Rimrocks Toadstool Hoodoos. When in Page, make a side trip to see River Rafting & Tubing in Marble Canyon, approximately 44 minutes away. 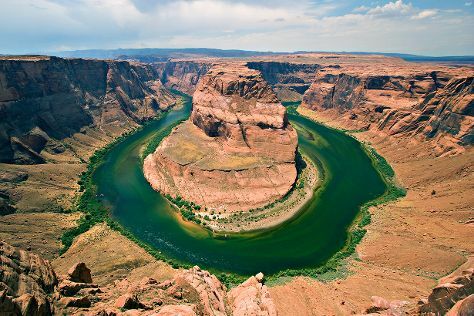 There's much more to do: trek along Horseshoe Bend, take in breathtaking views at Antelope Canyon, and race across the water with a speed boat tour. To see photos, reviews, traveler tips, and more tourist information, read Page travel planner. Fly from Las Vegas to Page in 5 hours. Alternatively, you can drive; or do a combination of flight and bus. You'll lose 1 hour traveling from Las Vegas to Page due to the time zone difference. Expect little chillier temperatures when traveling from Las Vegas in June; daily highs in Page reach 92°F and lows reach 67°F. Wrap up your sightseeing by early afternoon on the 9th (Fri) to allow enough time to drive to Sedona. Kick off your visit on the 10th (Sat): take in the dramatic natural features at Cathedral Rock and then contemplate in the serene atmosphere at Chapel of the Holy Cross. On the 11th (Sun), you'll have a packed day of sightseeing: relax and rejuvenate at some of the top local wellness centers, then explore and take pictures at Red Rock Scenic Byway (SR 179), and then explore the striking landscape at Bell Rock. To find reviews, more things to do, photos, and other tourist information, read Sedona vacation planner. Getting from Page to Sedona by car takes about 4 hours. Other options: do a combination of flight and bus; or do a combination of flight and bus. 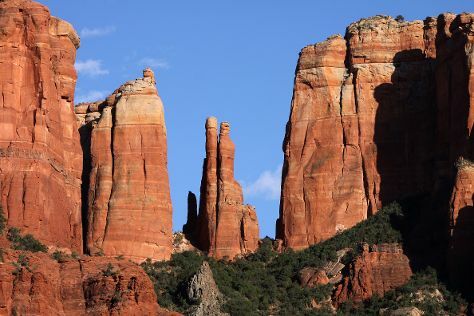 June in Sedona sees daily highs of 94°F and lows of 68°F at night. Finish your sightseeing early on the 12th (Mon) so you can travel to Lahaina. You'll discover tucked-away gems like Dolphin & Whale Watching and Parasailing & Paragliding. Change things up with these side-trips from Lahaina: Haleakala Crater (in Haleakala National Park), Helicopter Tours (in Kahului) and Scuba & Snorkeling (in Kihei). And it doesn't end there: wander the streets of Lahaina Front Street, look for gifts at Glass Mango, pause for some serene contemplation at Maria Lanakila Catholic Church, and tour the pleasant surroundings at Ka'anapali Beach. To find traveler tips, more things to do, maps, and tourist information, use the Lahaina travel planner. You can do a combination of bus and flight from Sedona to Lahaina in 11.5 hours. The time zone changes from Mountain Standard Time (MST) to Hawaii Standard Time (HST), which is usually a -3 hour difference. When traveling from Sedona in June, plan for a bit cooler days and about the same nights in Lahaina: temperatures range from 83°F by day to 71°F at night. 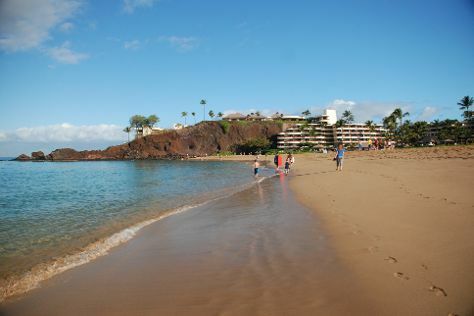 Finish up your sightseeing early on the 17th (Sat) so you can travel to Kailua-Kona. Explore hidden gems such as Dolphin & Whale Watching and Ocean Rider Seahorse Farm. Next up on the itinerary: kick your exploration up a notch at some of the top local zipline courses and adventure parks, experience rural life at Hula Daddy Kona Coffee, get close to the beloved marine mammals with a swim-with-the-dolphins experience, and discover the deep blue sea with a scuba or snorkeling tour. To see reviews, other places to visit, and tourist information, read Kailua-Kona itinerary planner. You can fly from Lahaina to Kailua-Kona in 3.5 hours. June in Kailua-Kona sees daily highs of 84°F and lows of 74°F at night. Finish your sightseeing early on the 20th (Tue) to allow enough time to travel to Marathon. Explore hidden gems such as The Turtle Hospital and Fishing Charters & Tours. The adventure continues: immerse yourself in nature at Bahia Honda State Park, kick back and relax at Sombrero Beach, take in the views from Seven Mile Bridge, and paddle through the water with a kayaking and canoeing tour. To find other places to visit, photos, traveler tips, and other tourist information, you can read our Marathon itinerary maker. Do a combination of flight and shuttle from Kailua-Kona to Marathon in 16.5 hours. The time zone difference moving from Hawaii Standard Time (HST) to Eastern Standard Time (EST) is 5 hours. Traveling from Kailua-Kona in June, expect nights in Marathon to be about the same, around 79°F, while days are a bit warmer, around 90°F. Finish your sightseeing early on the 24th (Sat) so you can drive to Key West. Step off the beaten path and head to Dry Tortugas National Park and Truman Little White House. There's still lots to do: identify plant and animal life at Key West Butterfly & Nature Conservatory, see what you can catch with a fishing tour, paddle through the water with a kayaking and canoeing tour, and enjoy the sand and surf at Fort Zachary Taylor. To see photos, other places to visit, ratings, and tourist information, read our Key West trip generator. You can drive from Marathon to Key West in 1.5 hours. Another option is to take a bus. In June, daily temperatures in Key West can reach 87°F, while at night they dip to 79°F. Finish your sightseeing early on the 29th (Thu) so you can travel to Charleston. Explore hidden gems such as Arthur Ravenel Jr. Bridge and Middleton Place. 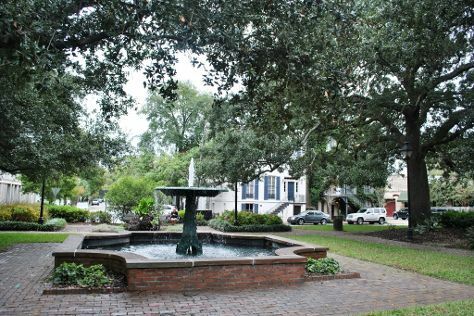 There's still lots to do: don't miss a visit to Charleston City Market, get the lay of the land with Walking tours, admire the natural beauty at Magnolia Plantation and Gardens, and settle in for a delightful tour with a horse-drawn carriage tour. For traveler tips, ratings, photos, and more tourist information, you can read our Charleston travel itinerary creator. You can fly from Key West to Charleston in 6 hours. Alternatively, you can drive; or do a combination of shuttle and bus. Plan for slightly colder nights when traveling from Key West in June since evenings lows in Charleston dip to 72°F. Finish up your sightseeing early on the 3rd (Mon) so you can go by car to Savannah. Kick off your visit on the 3rd (Mon): contemplate in the serene atmosphere at The Cathedral of St. John the Baptist, stroll through Forsyth Park, then wander the streets of Savannah Historic District, and finally don't miss a visit to River Street Savannah. On the next day, stroll the grounds of Bonaventure Cemetery, get to know the fascinating history of Fort Pulaski National Monument, and then kick back and relax at Tybee Island Beach. To see ratings, photos, more things to do, and more tourist information, refer to the Savannah trip builder. Traveling by car from Charleston to Savannah takes 2.5 hours. Alternatively, you can take a train; or take a bus. July in Savannah sees daily highs of 91°F and lows of 74°F at night. Cap off your sightseeing on the 5th (Wed) early enough to go by car to St. Augustine. SAINT AUGUSTINE | PONTE VEDRA on Florida's Historic Coast The Nation's oldest city (est. Step off the beaten path and head to Flagler College and St. George Street. Go for a jaunt from St. Augustine to Daytona Beach to see Beach at Daytona Beach about 1h 20 min away. Spend the 9th (Sun) exploring nature at Fort Matanzas National Monument. There's still lots to do: kick back and relax at St. Augustine Beach, steep yourself in history at Castillo de San Marcos, brush up on your knowledge of spirits at St. Augustine Distillery, and look for all kinds of wild species at St. Augustine Alligator Farm Zoological Park. For where to stay, ratings, more things to do, and tourist information, read our St. Augustine custom trip planner. Drive from Savannah to St. Augustine in 3.5 hours. Alternatively, you can take a bus; or do a combination of flight and bus. In July, daily temperatures in St. Augustine can reach 90°F, while at night they dip to 74°F. Finish your sightseeing early on the 9th (Sun) to allow enough time to travel back home.